With Divi, using a blurb module is one of the easiest ways to create a great looking mobile site. A true mobile site increases the interaction with those visiting your site. One thing people need is the blurbs to be side by side and not stacked on a mobile screen. Watch the video below to see how this happens. The actual code is listed out below. Need help getting a true mobile experience with your site, Contact us for help. 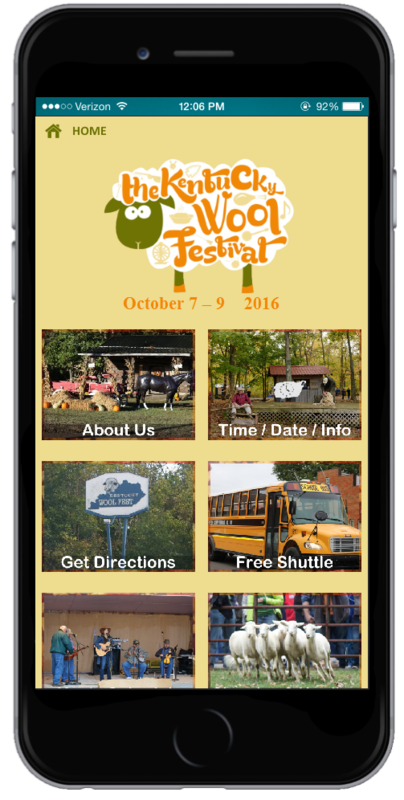 The Kentucky Woolfest was a great time and the true mobile site for the event proved to be a great success. The full site was used but we wanted a nice interactive mobile site for our client during the 3 day event. People could search craft vendors, food and check the times for the entertainment on the two stages. Stats for the mobile site was 14,688 unique views and 29,366 page views overall. While on the mobile site user could add to home-screen for a nice app icon and when launched users had a full screen for a mobile web app look and feel. Both the Full and Mobile site were done with Divi. A handy way to get a profile business card or other personal/social information. This JSON file is a section and built for mobile devices. You can also consolidate this section and make it 4 column row on a full site, but going single line blurbs. Please give us some social love for the download. 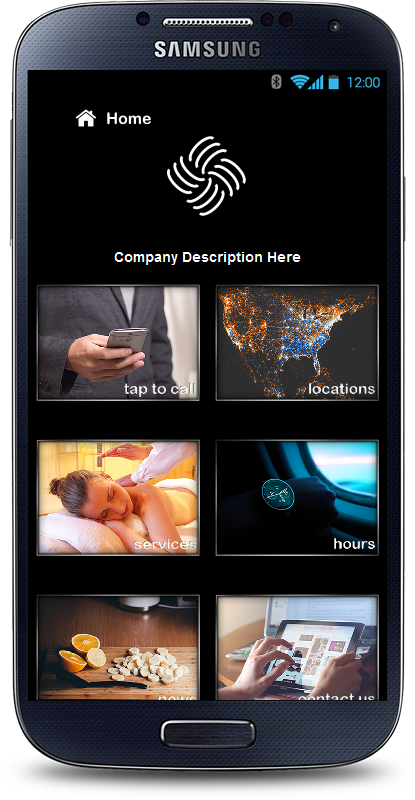 A great way to add a true mobile interactive experience is delivering a mobile web app look and feel. You can do this by adding a section dedicated for mobile viewers right within your home page. Use the disable feature on each section and you are set. This mobile section has a locked code section that takes care of spacing and keeping two blurb images side by side on mobile screens. Like or Share to Download Divi Mobile Section Layout below. If you want to purchase our mobile layout pack, head over to Elegant Marketplace Here.